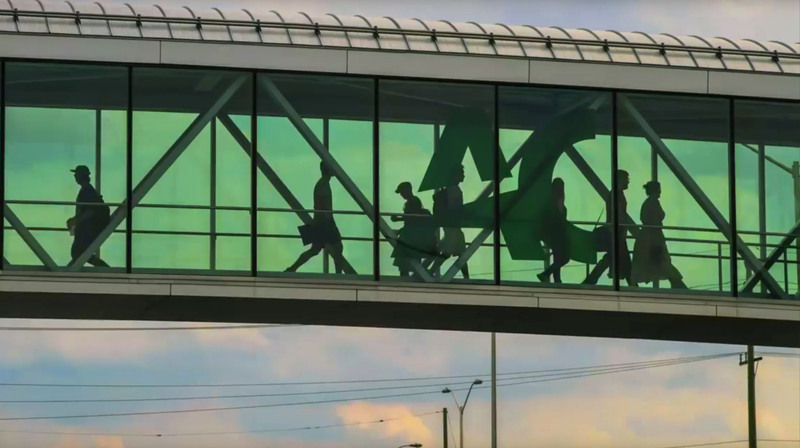 Located in Canada’s beautiful capital, Algonquin College finds itself in a state of transformation. Like other Canadian higher education institutions, Algonquin College faces a serious demographic challenge. The number of students graduating from high school in Canada is steadily declining, creating fierce competition amongst Canadian colleges and universities. Adjusting to the demographic shift and increased competition, Algonquin College decided to change their approach to recruiting and deployed Salesforce across campus. Algonquin College started their transformation by rolling out a new student recruitment solution on Salesforce. The school uses Salesforce to automate student lead capture via its website and social media channels, manage lead scoring and segmentation, execute targeted communications, and track conversion targets. Algonquin also developed a custom recruiting application for the iPad using App Cloud. The new app allows recruiters in the field to collect prospective students’ data in high school classrooms. “We’re now able to track our prospective students throughout the entire recruitment lifecycle and provide a modern experience,” said Elizabeth Babiak, Social Media Community Officer. Using the Salesforce Marketing Cloud, the school has been able to have a voice in both intentional and unintentional social conversations. Salesforce allows Algonquin’s social media team to have a single view of every conversation it’s had with a specific user, minimizing duplicate outreach and conversations. Altogether, Algonquin College increased lead generation by 23% and reduced collateral fulfillment time by over 50% within the first year of rolling out Salesforce. “Our student recruiter productivity has tripled with Salesforce. What used to take weeks or months now takes minutes,” said Doug Wotherspoon, VP of International and Strategic Priorities. Recruiting isn’t the only department transforming with Salesforce. Algonquin’s Advancement department deployed Salesforce Chatter as a digital communication hub, breaking down traditional communication silos and allowing the team to stay focused on sales. The school’s Corporate Training Department implemented Salesforce, using the platform to manage all aspects of their business – from sales and marketing to back-end administrative processes. The Algonquin IT Department uses Service Cloud and Knowledge for all IT case management. They’ve developed a self-serve website, where students and employees can browse the knowledgebase and self-serve or initiate a case. Using Salesforce Communities, Algonquin has also created a community for employees. The employee community replaced a group of disparate websites that employees had to go to for news, events, and information. Algonquin College has established a competitive advantage by using Salesforce to focus on creating an outstanding experience from the very moment a prospect shows interest all the way through graduation. Looking to the future, Algonquin has plans to continue innovating and redefining the higher education experience using Salesforce. “As a small college in Canada, we have big aspirations – and Salesforce is at the root of that,” said Wotherspoon.